IJF Acute Injury Clinics available to all amateur jockeys! 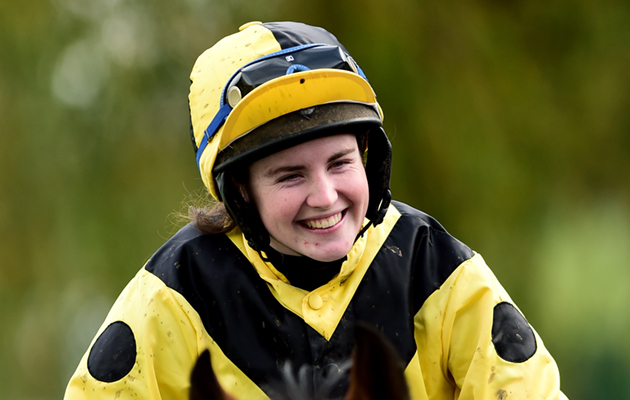 A reminder to ensure that all amateur jockeys are aware that ACUTE INJURY CLINICS are available to all licensed jockeys who have sustained an acute race-riding related injury (from a fall or kick etc). 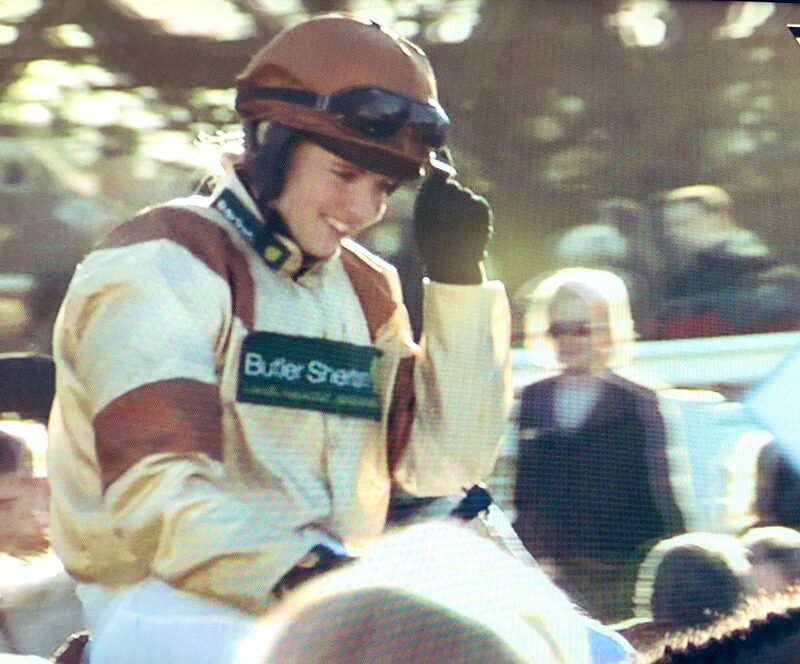 Brodie Hampson memorably won the 2016 Royal Artillery Gold Cup in her father’s colours before his sad death later that year and repeated that emotional success earlier today at Sandown, having spread some of her late father’s ashes on the winning line earlier in the day. 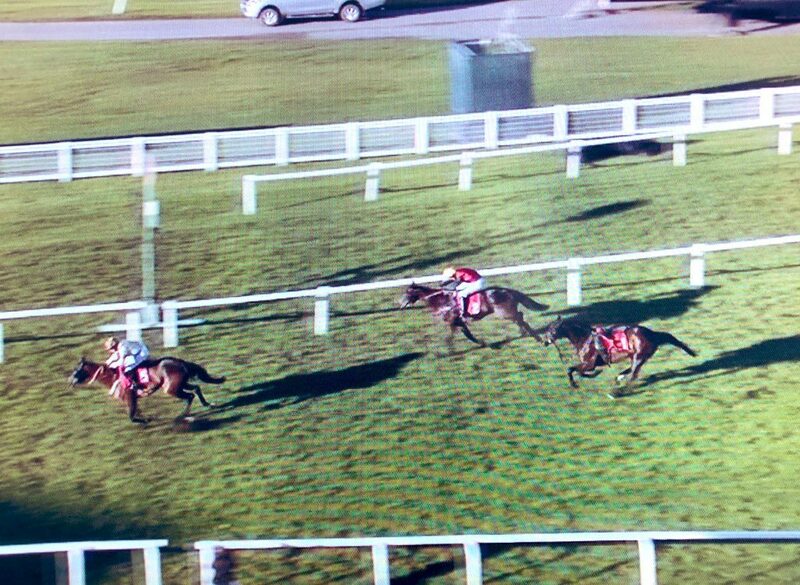 It was a thrilling race to watch with Brodie partnering Ben Pauling’s Carlos du Fruitier and making much of the running. Brodie explained “The plan wasn’t to make the running, but with a circuit to go the pace was a bit on and off and I know he needed a good pace, so I thought ‘we are going to have to take it up here and now, and you are going to have to help me out and I will help you out’. “I definitely spread some more of his (father’s) ashes at the winning line today and he was with me all the way, I know that. It was massively emotional – it is every time I come here. “Dad was was in the Royal Artillery for 24 years, so it was a big part of his life and to come back here and do it again for him, he would be so proud. “Next year hopefully we will get back into his colours again on another horse.” Many congratulations Brodie! "I know he was with me every step of the way." 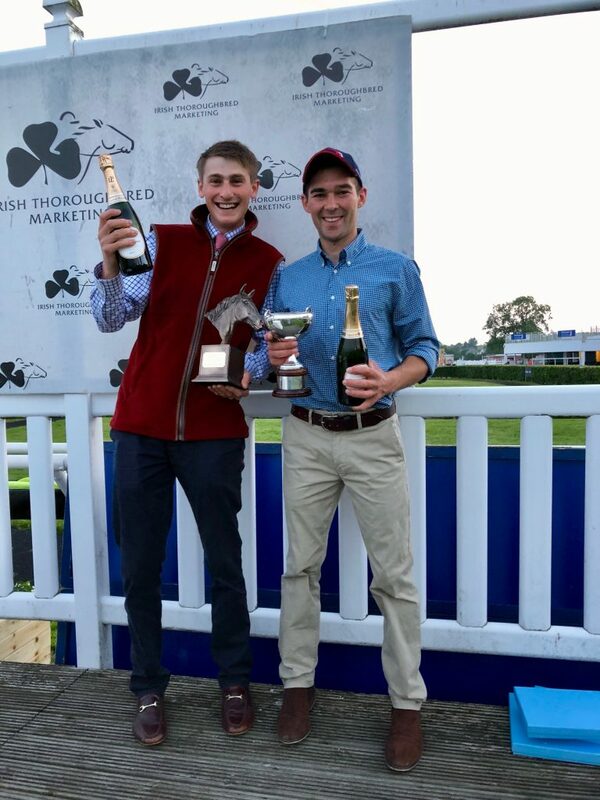 Whilst we all await the annual Irish invasion to Cheltenham it was brilliant to have a small invasion of our own British team Zac Baker, Alex Edwards, Brodie Hampson and Tabitha Worsley flying over to Fairyhouse for the inaugural Anglo/Irish Challenge Chase on 13th February and taking on the formidable Irish team on their own turf headed by Patrick Mullins, Derek O’Connor, Aine O’Connor and Lisa O’Neill. 13 went to post and ultimately half of each team did not complete, with GB’s Alex unseated and Zac pulling up, whilst Aine and Patrick were also PU. 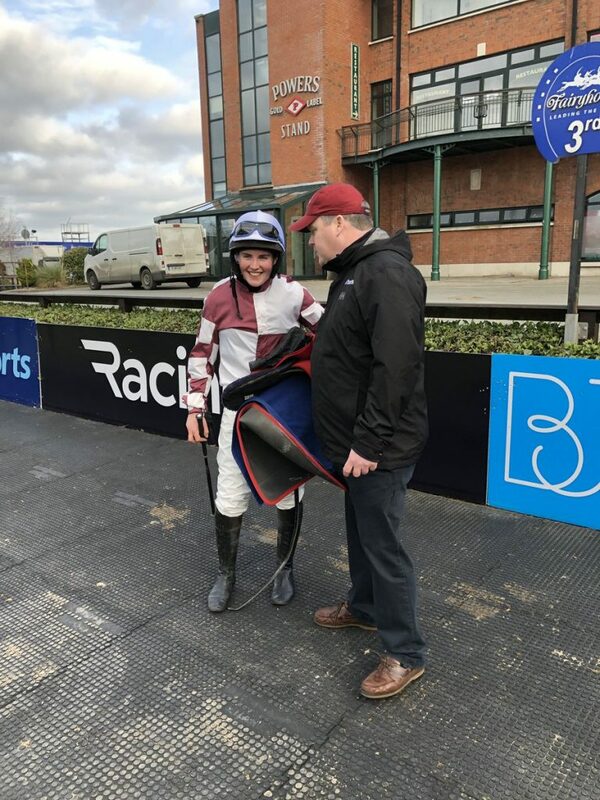 Sadly we did not have a team member in the winner’s enclosure but Tabitha had a great spin for Gordon Elliott on KAYR THOU to finish 3rd, bringing home the trophy for GB, with Lisa and Derek 4th and 5th respectively and Brodie 6th. Next Wednesday 13th February sees the inaugural running of the Ireland v Britain (Q.R.) 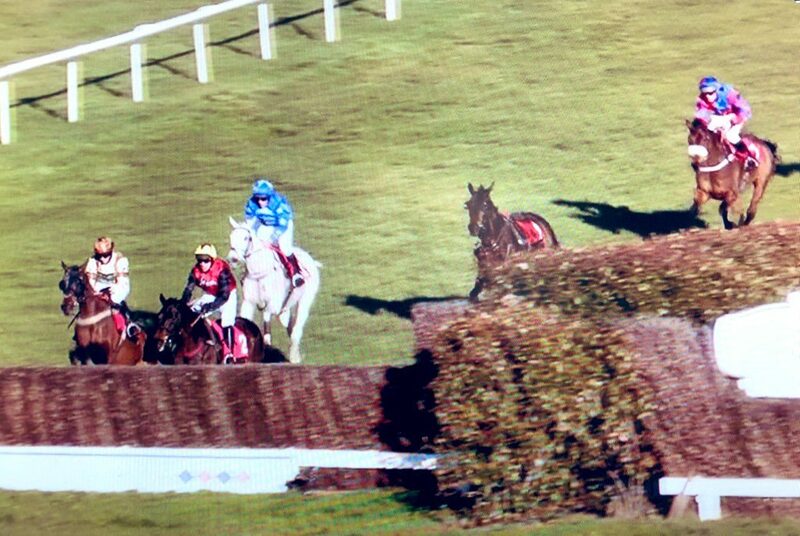 Challenge Handicap Steeplechase at Fairyhouse by kind agreement with Peter Roe. Many thanks to Peter and also to Susan Leahy for this special race to look forward to. Team Ireland (2 gentlemen and 2 lady amateur riders) will compete v Team GB with each team drawn from the 8 top weighted declared runners with the race run over just under 3 miles (2m 7f). EXCITING NEW INTERNATIONAL RACING OPPORTUNITY! 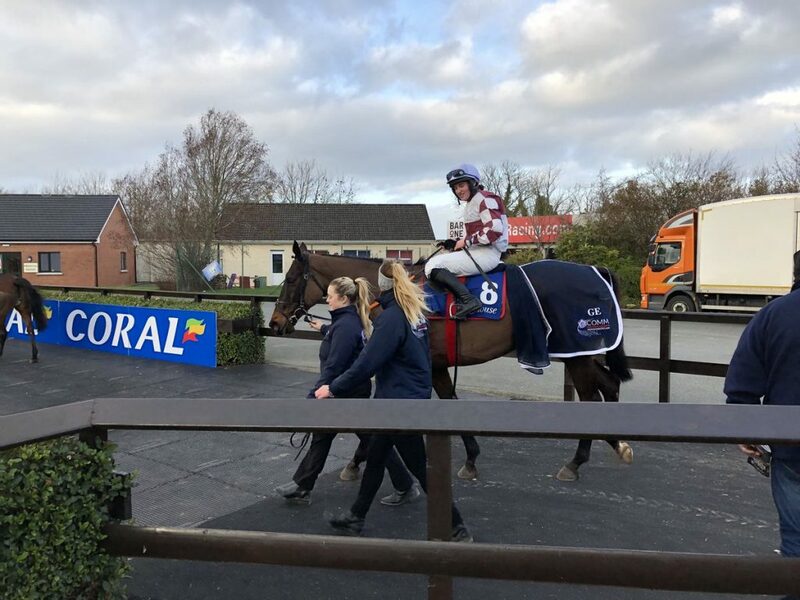 We are delighted to announce that the AJA are returning to Fegentri which will give opportunities to many of our members to enjoy racing abroad on the Flat. This follows the good news that Fegentri rules have been updated to allow up to 5 gentlemen and 5 lady riders to represent their country and take part in the LONGINES FEGENTRI WORLD CHAMPIONSHIPS FOR LADY RIDERS AND FOR GENTLEMEN RIDERS rather than restrict this to one individual as in the past. This weekend sees the annual Fegentri General Assembly in St Moritz and details will follow of this year’s calendar in due course. Meanwhile applications are invited from amateur jockeys to take part in this exciting opportunity to become part of Team GB for 2019. 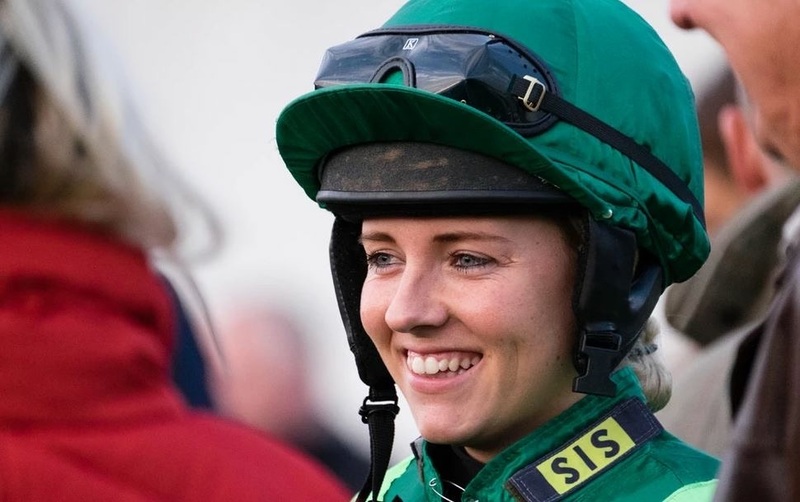 Jockeys must have ridden a minimum of 5 winners (which can include point-to-points) with ladies able to ride at 58 kg (9 stone) and gentlemen at 62 kg (under 10 stone ie 9 stone 11 lbs). Please e-mail sph.oliver@btinternet.com if you would like an application form.